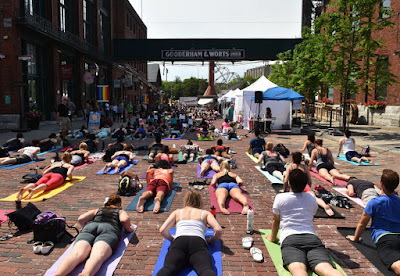 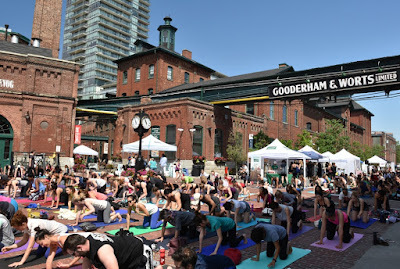 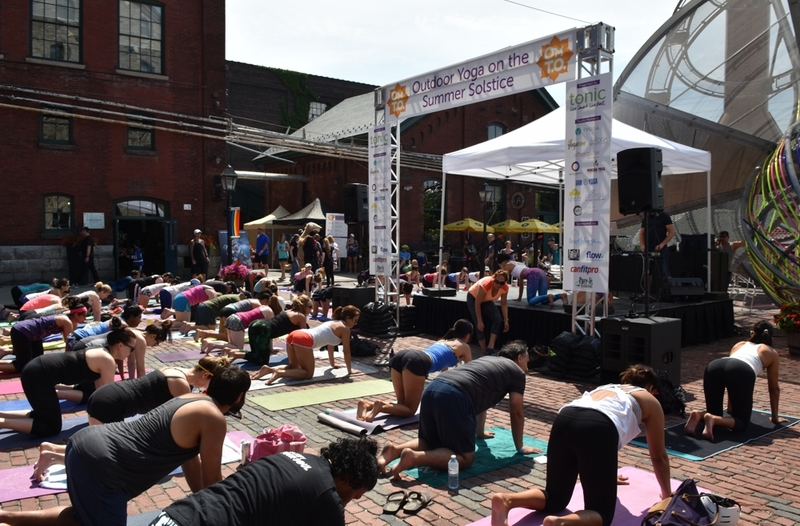 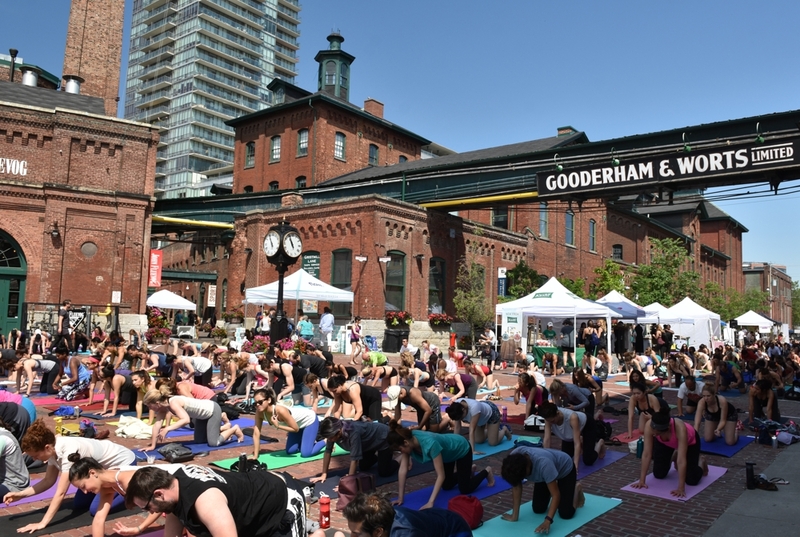 A Summer Solstice yogic celebration on Sunday, June 19 had hundreds of healthy people doing free yoga in the historic, brickey neighbourhood. 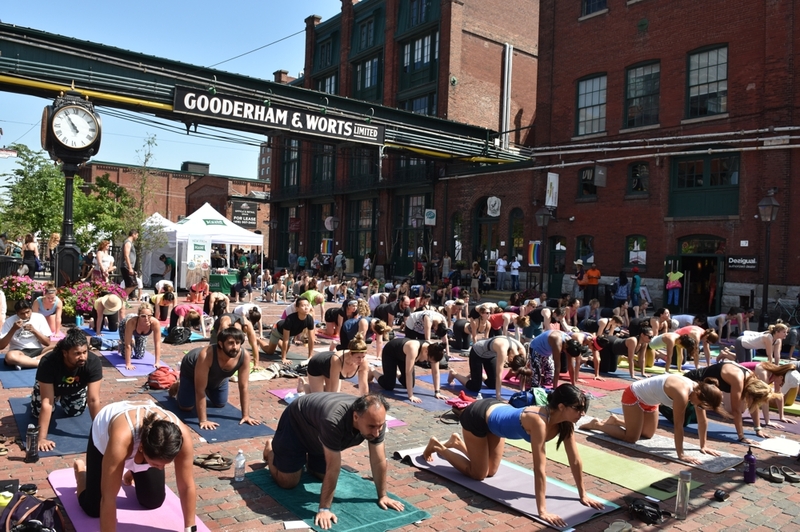 Some of Toronto's best instructors took to the stage and called out the poses while surrounded by multitudes of mat dwelling athletes. 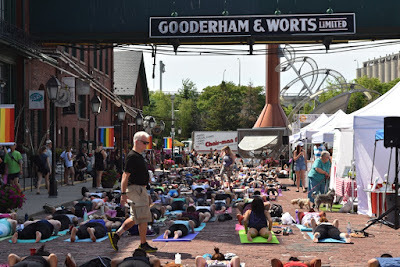 The summer solstice is coming tomorrow - Monday, June 20, 2016 but the weekend was full bore summer anyway, it was smoking.